SAINT-CHARLES, N.B. 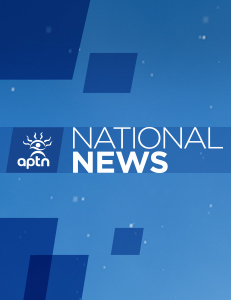 – Police have charged a New Brunswick man in a hit-and-run death that left a First Nation grieving and seeking justice. Maurice Johnson, a 56-year-old man from Saint-Charles, N.B., was charged with failing to stop at the scene of an accident involving bodily harm or death. Brady Francis, a 22-year-old from Elsipogtog, was struck and killed by a pickup truck after leaving a party on Feb. 24. RCMP say it’s believed he was waiting for a drive home when he was struck. Johnson is to appear in Moncton provincial court July 10. Many Elsipogtog residents had called for criminal charges in the case and alluded to anger at the jury acquittals in the killings of Colten Boushie and Tina Fontaine on the Prairies. Social media posts were circulating following the incident with pictures of Boushie, Fontaine and Francis side by side, and many were tweeting #justiceforbrady, echoing hashtags used after the recent Prairie verdicts. Residents said the acquittals in the 2016 death of Boushie in Saskatchewan and the 2014 death of Fontaine in Winnipeg were on the minds of many in the First Nation community.